As importers of our own range of fireworks, we make a pilgrimage to the Chinese Fireworks Capital, known as Liuyang, each year. 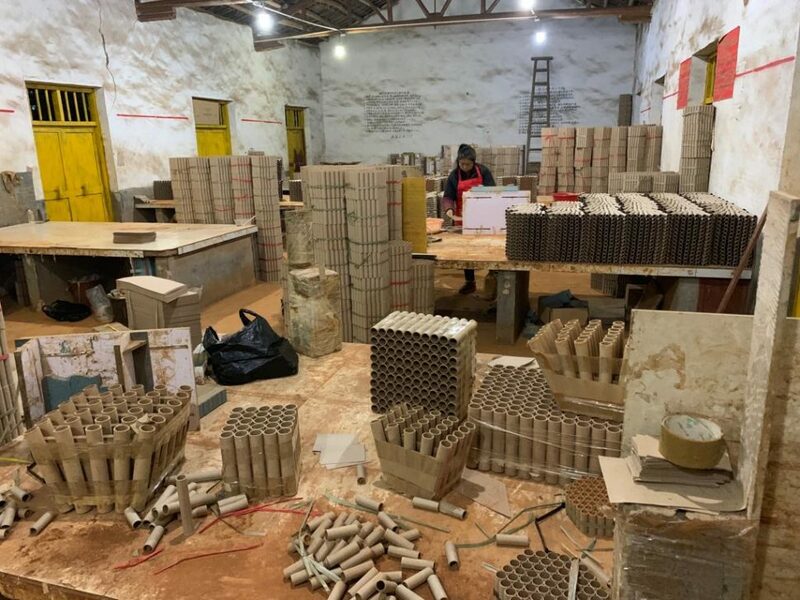 This city used to contain over 1.000 firework factories but they have been in decline in recent years as new firework regulations have taken hold, forcing older factories to close. This year our China Firework trip lasted 8 days with the aim to bring back some new and exciting retail fireworks. We love to take you on this journey! Well we have meetings with our suppliers each day at their offices to discuss current firework items, quality control and order schedules for this year. We always like to explore their showrooms to see about new firework samples produced in the last year. We have been dealing with some of our suppliers for over 10 years and have a fantastic working relationship with them. After all the meetings are done, we follow up with a firework demonstration. 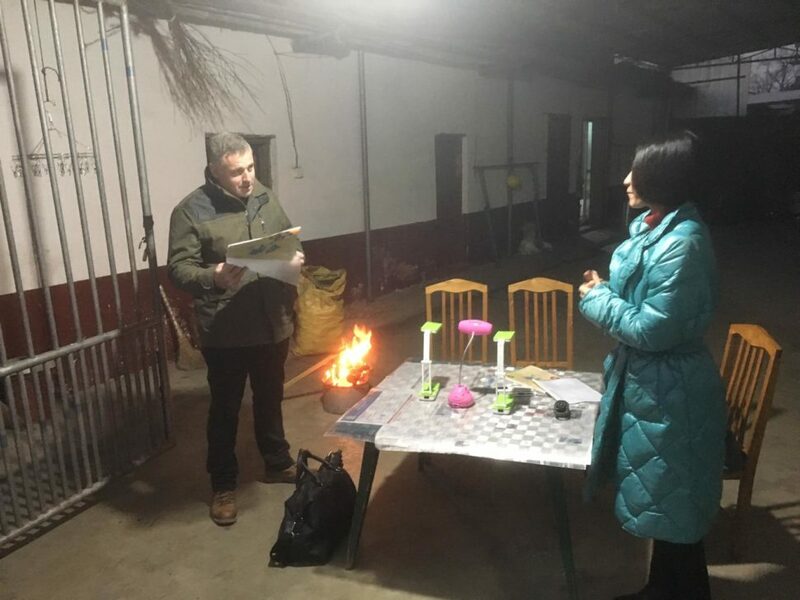 These firework demo’s can be locally at the CIQ firework test site or anywhere up to a hour’s plus drive into the China countryside at a factories test site and even at the side of a road. Most firework demo’s consist of anywhere between 20 and 100 firework barrages, rockets, roman candles and more. Each firework demonstration will have a firing list containing fireworks NEC, size, number of shots and effects. Then we get to watch each firework in turn and score them. With so many fireworks to watch it can be a difficult task finding something new, and sometimes it’s an usual firework effect or firework firing pattern that will grab your attention. Then we go for a meal with the suppliers, sometimes this is a local restaurant or even a firework factory workers home, where they produce all sort of Chinese foods to sample. We have even found an Italian restaurant out there for something like a home cooked meal. Well once back in the UK and we have trawled through the 100’s of fireworks and chosen the fireworks products we want to add to the range. We have to decide on the names. This usually means a staff meeting and brainstorming session for ideas. 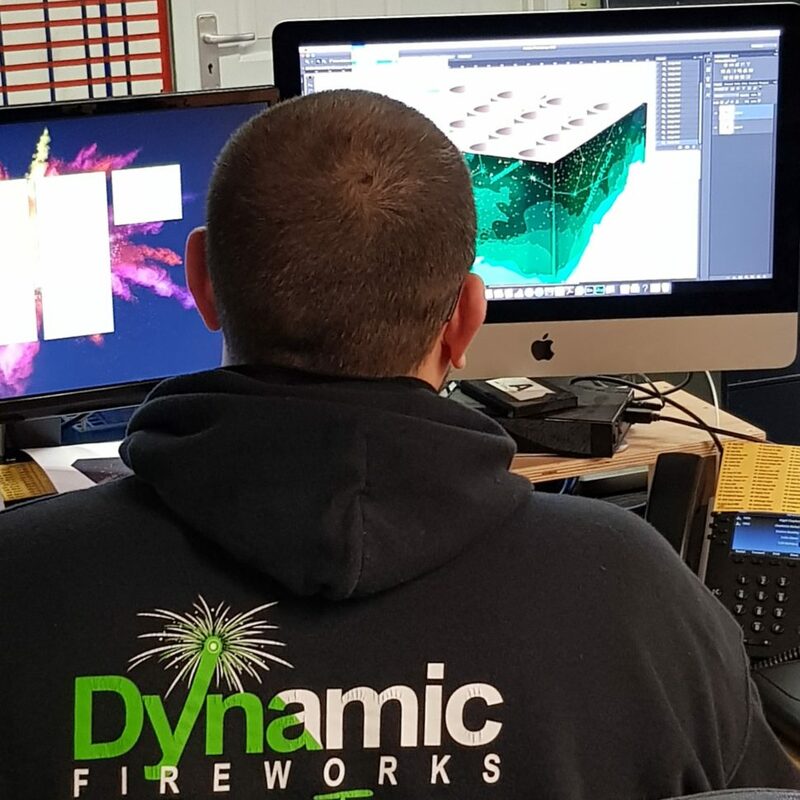 As each demo is filmed we can look back at the firework video’s and demo list notes to see what firework fill any gaps in our range or are just outstanding fireworks. This year we have found some lovely firework barrages, rockets and roman candles to bolster our firework range. So firework names often come to life by picking popular words or phrases, film blockbusters or songs and album names. Making the fireworks relevant and catch people’s attention is a must. In the past we had fireworks called Harry Popper, Titans Clash, Purple Rain, Matrix and even Prodigy after the band, who’s member Keith Flint has brought from us on occasion. Most of the time if the firework is big and loud you want a big and loud sounding name like Retribution, or if it’s a low noise firework something quieter and gentle like Golden Dreamtails. All our firework labels are designed in house and we tend to go along a theme or style. Similar to the way we chose firework names. We want eye catching fireworks labels that represent the chosen name. As you can see we have a range of themes including space with Alien Invasion and Close Encounters, myths and legends with Sparticus and Centaur to straight up firework bursts effects like Wave Willow and our pro range which does what is say on the label – Neon Green Mine to Neon Green Peony and Brocade Crown with Brocade Mine. Once all the fireworks are picked, names chosen and orders placed. We have to get the fireworks classified, authorised and tested for CE conformity (may change after Brexit), and registered for sale to the public before the fireworks arrive in the country. Typically, it will take the around 4 weeks to travel the Chinese fireworks from China by sea to the ports in the UK. This journey takes the fireworks past Singapore, Sri Lanka, Yemen and up the River Nile and through the Suez Canal, round the Mediterranean, past Spain, France and finally into the UK! Once the Chinese fireworks land in the UK, they get transported to our stores for unloading. Normally containers will start to arrive from May right the way through to late October. They can come at any time, day or night. We always have crews on standby to unload. A 40ft container of fireworks can take anywhere between a couple of hours to 4 hours depending what is on board. This year we have already had our first container, arriving at midnight in minus 4 degrees. We do everything to provide you with the best fireworks! Keep an eye on our fireworks range, as we surprisingly add new collections throughout the year!